Welcome Home to Oak Valley a sought-after community. 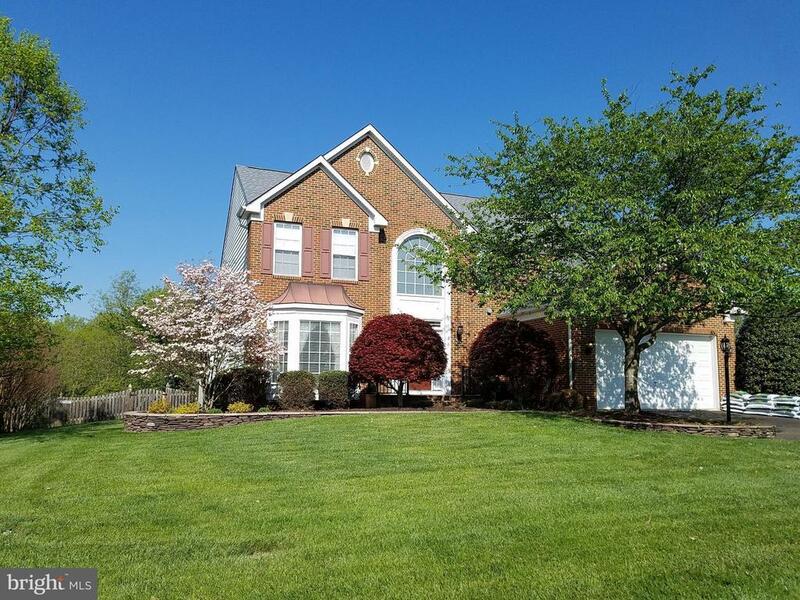 This home offers a private and relaxing place to unwind while living just minutes from I66, shopping, restaurants and social gatherings at Virginia Gateway/Promenade and the town of Haymarket. This beautifully updated Victoria Falls floor plan is situated on a. 1/2 acre of beautifully landscaped grounds with a fully fenced back yard. This is truly a backyard oasis. The newly added maintenance free porch leads to a stamped concrete patio and in-ground pool, great for entertaining. The interior offers an open floor plan with shadow boxing and crown molding. The kitchen boasts plenty of cabinet space, large island, new appliances, and granite countertops with custom backsplash. The kitchen is open to a sun-drenched sunroom overlooking the luscious landscaping and pool. A private owners suite with custom designed walk-in closet. Fully finished Lower level, with full bath, Tray ceiling, lots of storage space (4) Walk-In closets with a media/fitness room. Directions: From DC 66W to Exit 43B towards Heathcote Blvd. Stay on Heathcote and make a right onto Catharpin Rd. Proceed straight, make a Left on Heritage Farms Drive, Home is 1/2 mile on the Left.